Honorary fellow ad-eundem of the Royal College of Obstetricians and Gynaecologists (England). Head of Obstetrics and Gynaecology at the Santa Cristina Hospital in Madrid, Professor of Obstetrics and Gynaecology at the Autónoma University in Madrid, President of the Spanish Society of Gynaecology and Obstetrics, President Elect from the Federation of Spanish Scientific-Medical Associations and President of the National Commission for the specialty of Gynaecology. 2004 Medical Award. Head of Laboratory and Clinical Embryologist. 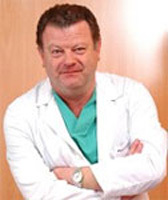 Founder and Coordinator of the Laboratories of In Vitro Fertilisation and Intracytoplasmic Sperm Injection, Andrology, Embryo Bank, Genetics and Preimplantation Embryo Diagnosis since 1984. 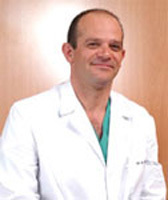 He has participated in numerous projects, congresses and articles in his areas of specialisation.